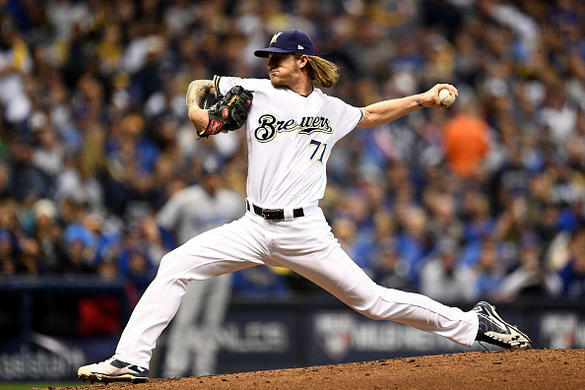 Dan Malin takes a look at some of the top set-up men and how you can best use them to complement your fantasy baseball rotation. It’s a funny thing about relievers. Most people just assume saves can be a category one can punt, especially in a points format if they aren’t valued properly. But there’s a shift occurring in fantasy sports to give not just closers, but set up men, more value. In deeper leagues or contests with categories that feature ratio pitching categories (K/9, K:BB) or holds, there’s an emphasis to give value to every relief pitcher. However, most teams don’t have a reliable closer so the closer position becomes a bit of a revolving door. So there are some relievers worth taking a shot on in the hopes they find themselves in position for saves later in the season. The following pitchers should definitely warrant some consideration on draft when building your team.